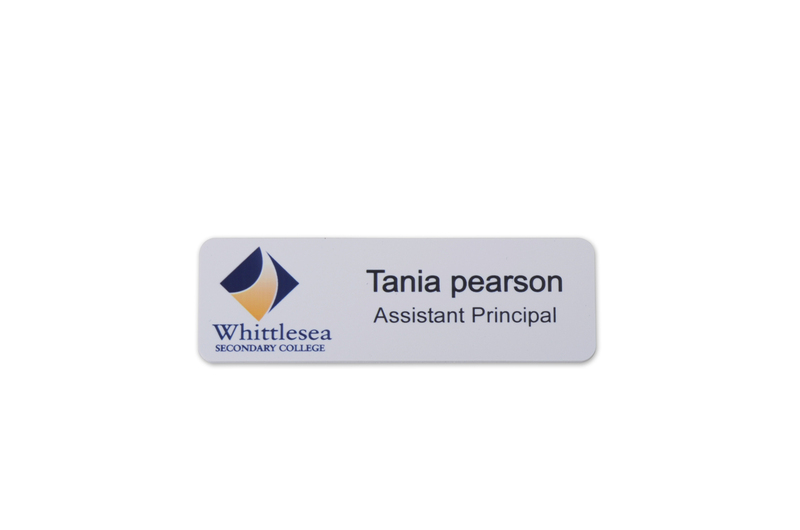 Are you looking for staff name badges for your business? We’ve been working with businesses, schools and clubs just like yours for over 20-years, so we know how to make the process as easy and affordable as possible. • + so much more! No matter your business, Just Badges can help you with all your ID badge needs. Affordability that never sacrifices on quality! Want complete customisation? 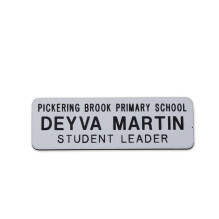 Explore our Premium Range of ID badges! 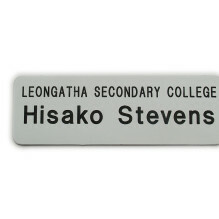 Looking for a more stylish option for your staff name badges? 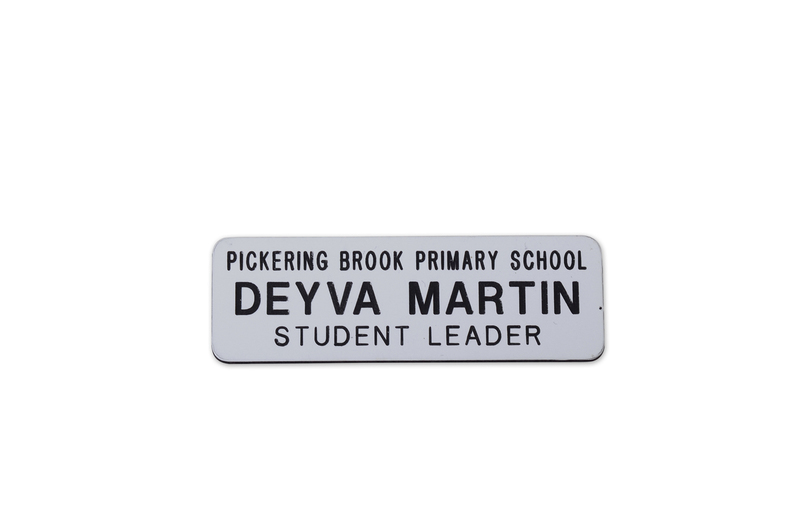 We offer a Premium Range of custom name badges that will really stand out. We have a whole variety of colours to choose from as the base of your name badge, including gold, silver, white, and any colour on the CMYK spectrum. You’ll also be able to feature your unique logo or other design on your ID badges too! To do this, we transfer your chosen background colour to the plastic using heat, transferring the colour to the plastic. Please note that with this production method, a beautifully coloured badge can be produced, but the size is limited to a maximum of 50mm x 80mm. 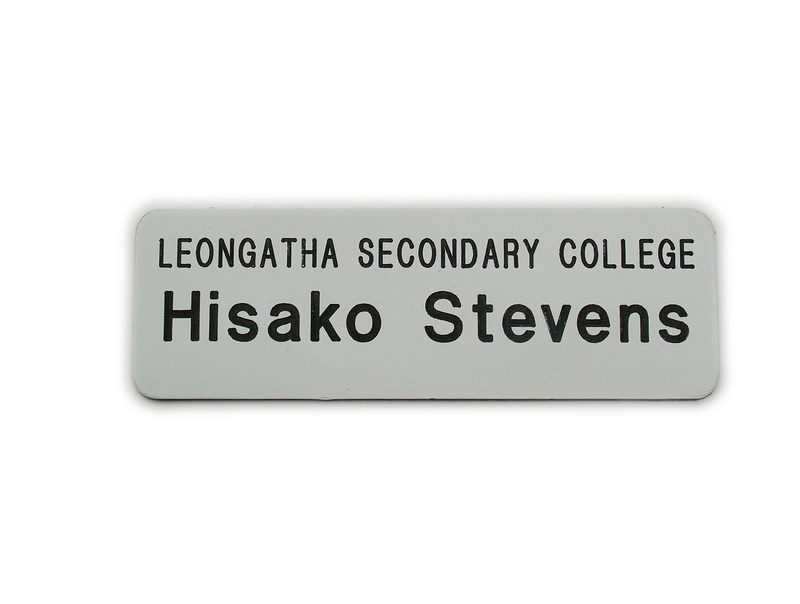 To further enhance the look of the name badges, a clear resin can be added as a dome top coat. The resin top coat can be applied to both the Basic Engraved Badge and Premium Range. Design your ID badges your way! Contact us now for a free quote.